Many times we forget that celebrities, athletes and bodybuilders are actually humans like all of us. The examples below will show you that every person on this planet needed to put in work at some point of his life to get to where he is now. These people look perfect today, but back in the day they had some serious work to do! 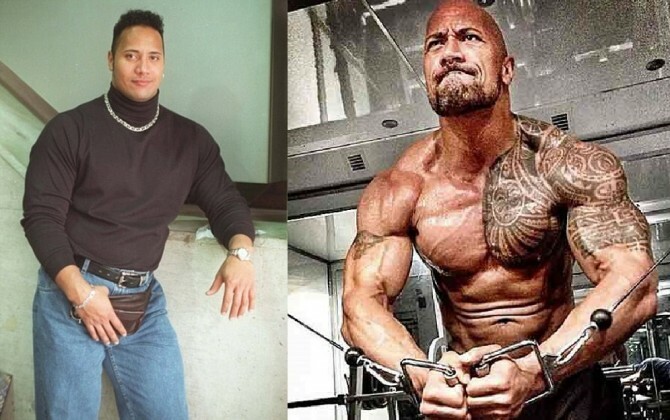 Dwayne Johnson was no scrub when he was younger, but what he transformed into in the last few years is a BEAST. 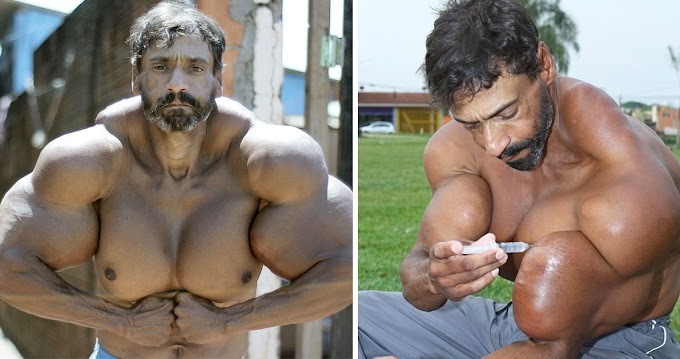 Now considered the world’s top fitness model was once a good looking youngster, but who would have thought he would be able to turn that physique into perfection? Football players are known to be lean and most times skinny. 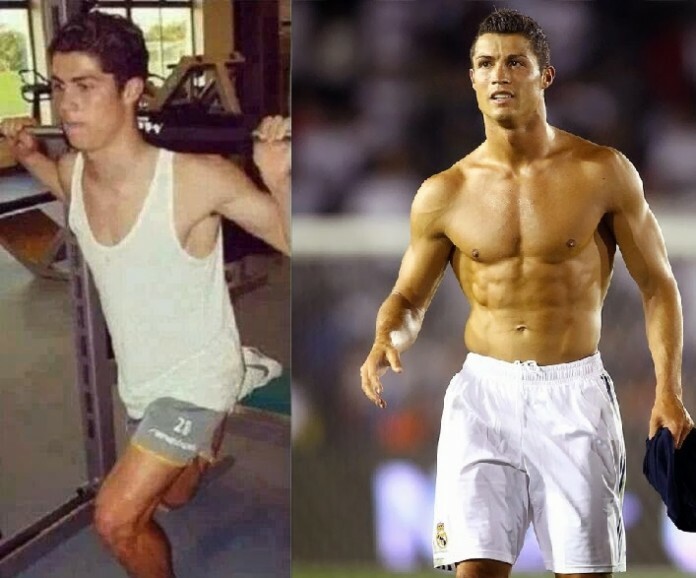 CR7 has changed that conception. Keep reading to find out which of his teammates followed his footsteps. 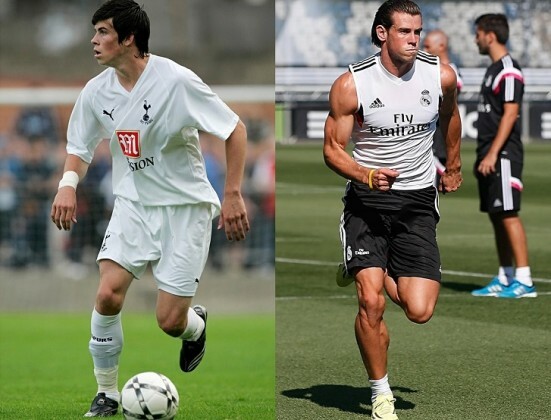 Like his teammate Cristiano Ronaldo, the once skinny Bale turned into a ball of muscles. If his speed isn’t affected, why not? 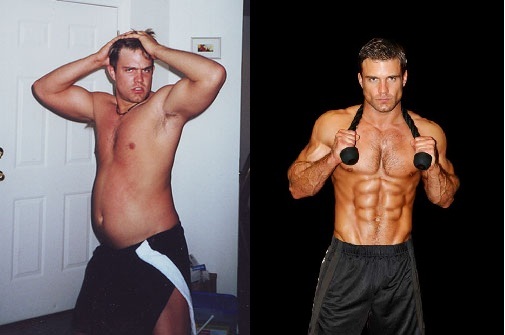 No need for many words here, just look at the incredible transformation by the California-born fitness model. 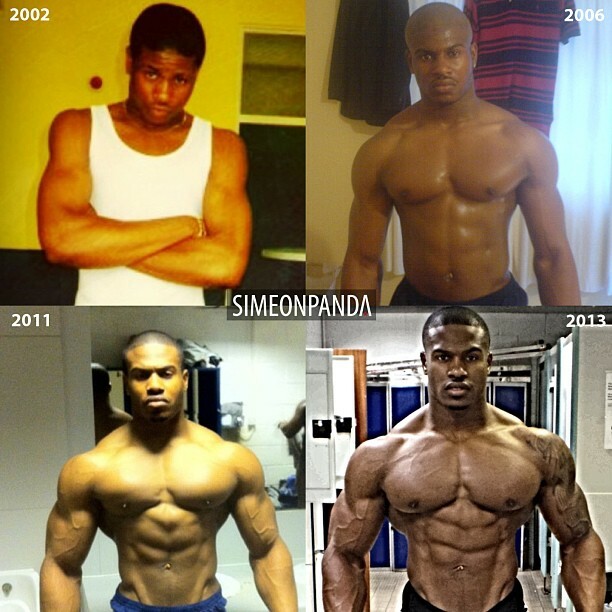 Another big time fitness model’s natural progression can be seen clearly here and we could only imagine the amount of work Simeon had to put in to get where he is today given where he started from. To get into MMA-shape, Hardy worked out like….an MMA fighter. Plus he ate a lot of chicken and broccoli. The difference between his old and new self is stunning. The once skinny R&B star has not been “walking away” from weights lately as you can see below. Regardless of the way they did it, we could only admire these celebrities’ effort and determination to transform their bodies!